A man wearing an MTA hat exposed himself to two young girls in Brooklyn, authorities said. Ken Buffa reports. 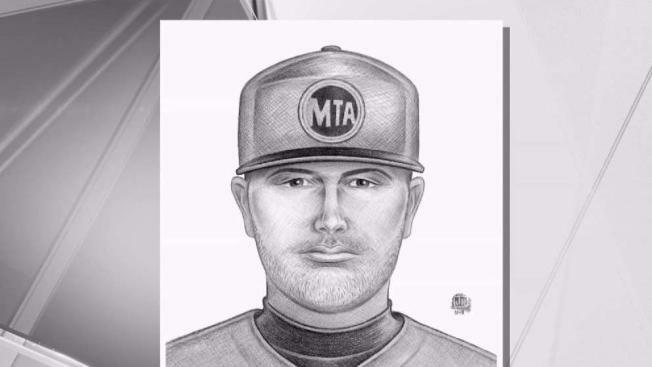 A man wearing an MTA hat exposed himself to two young girls in Brooklyn, authorities said. A 14-year-old girl was walking with a friend near Ridge Boulevard and Fort Hamilton Park in Bay Ridge around 4:30 p.m. on Oct. 8 when a man in an MTA hat drove up in a gray Toyota minivan and asked her for directions, the NYPD said. At some point while the man was talking to the girl, he exposed himself to her, police said. A few days later, on Oct. 11 around 4:30 p.m., the same man was sitting in a parked, dark-colored SUV on Colonial Road when he asked an 11-year-old girl for directions to McDonald's, the NYPD said. The man asked the girl if she could come inside the car to help with the directions, and when she approached the vehicle, she realized he was exposing himself, police said. The man was wearing a light blue button down shirt with an MTA patch on the shoulder during that incident, the NYPD said. Police have released a sketch of the suspect. Anyone with information about the incidents is asked to call the NYPD’s Crime Stoppers Hotline at 1-800-577-TIPS.